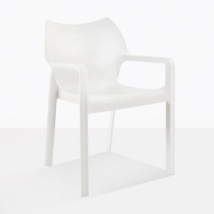 This elegant chair in a fashionable stone white and has a light and airy appearance. 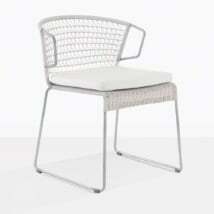 It is made with the Ecolene wicker weave, which is extremely popular with designers because of the colors and quality. 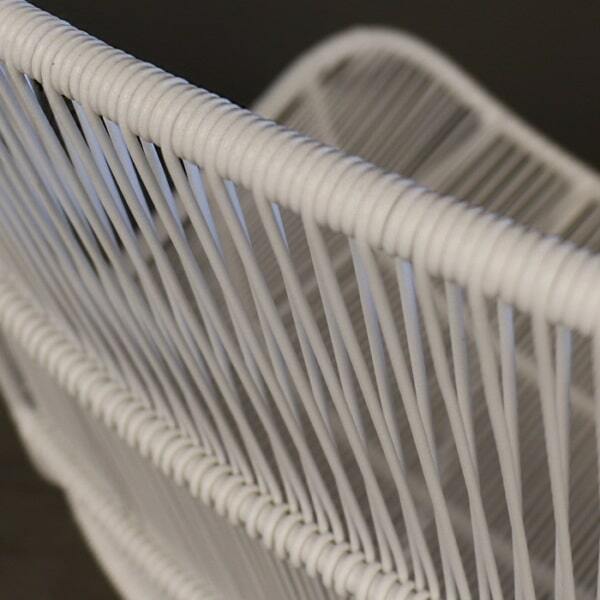 The stone white color has a cool yet graceful appearance. 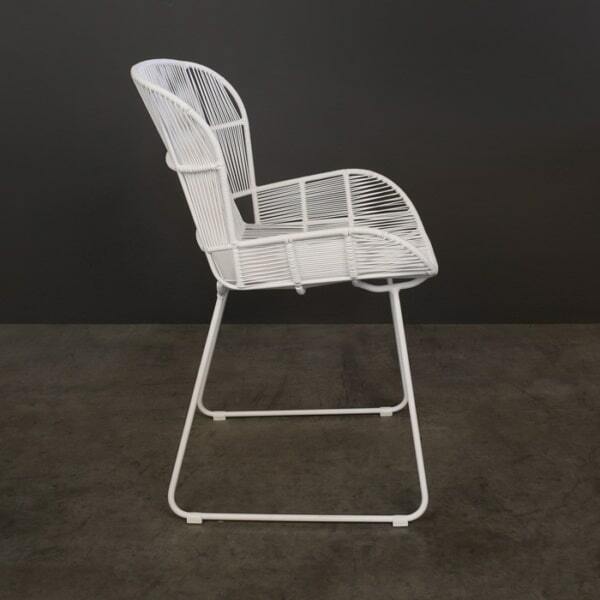 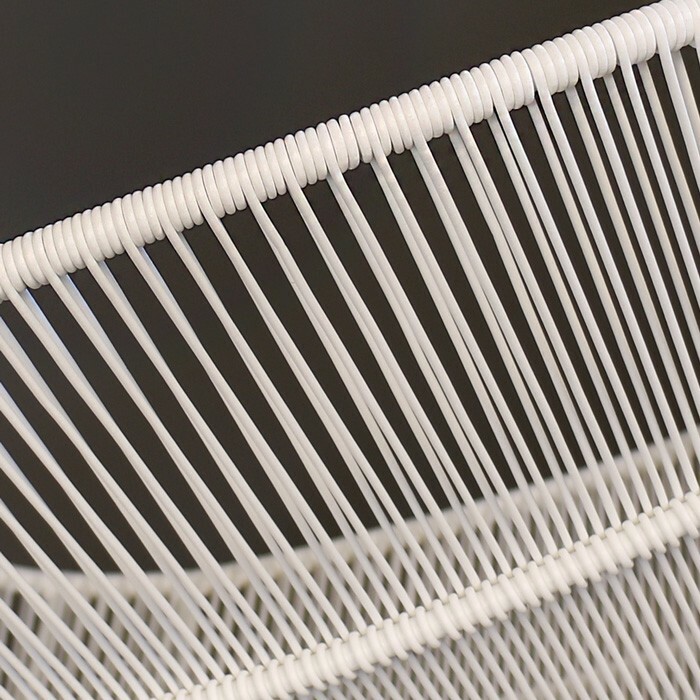 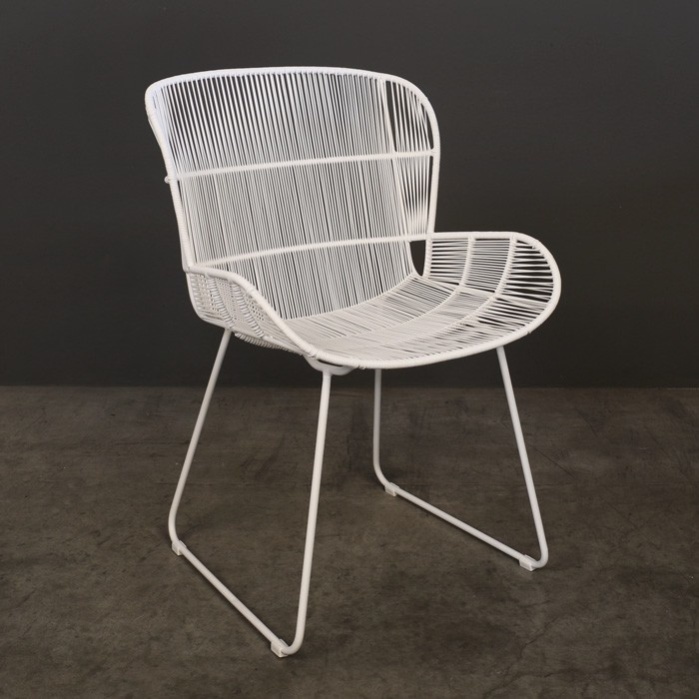 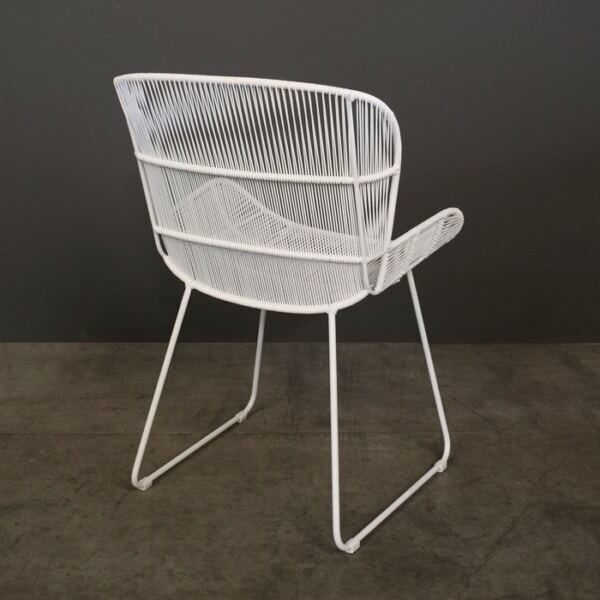 The white powder-coated steel frame makes this chair a timeless design. Maintenance is minimal and all that is needed is a soft cloth, mild soap and water, and be sure to rinse well. 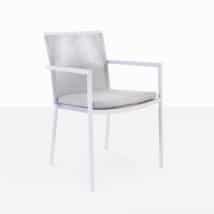 This dining chair is also available also in Black.